The role that pharmacists can play in patient care has been evolving over the last decade, with a focus on embedding pharmacists in physician practice groups. A collaborative initiative between Blue Cross/ Blue Shield and Michigan Medicine (University of Michigan), Michigan Pharmacists Transforming Care and Quality (MPTCQ) offered initial support for bringing pharmacists into physician practices. Ten physician organizations in Michigan were identified as being ready to participate, and NPO has been a leader in this initiative. The first pharmacist was brought on board at Northern Physician’s Organization in 2015, and based on the success of that, pharmacy services were expanded to include an additional clinical pharmacist in 2017. Pharmacists in MPTCQ are trained to provide direct patient care through a strong collaborative relationship with physicians and provide continuous support in expanding the integrated care model with the goal of expanding clinical care and improving quality. The first NPO pharmacist was trained through MPTCQ and brought a strong clinical background to the table. The second pharmacist was recruited from Michigan Medicine where he had been one of the pharmacists contributing to the development of this practice model. At NPO, clinical pharmacists provide disease management services for patients with chronic diseases and comprehensive medication review for patients with medication-related problems. Patient engagement is easier to obtain because of the strong working relationship that has grown between physicians and the pharmacist at the clinic. Integrating clinical pharmacists in the primary care clinics allows access to electronic medical records (EMR), including medication and laboratory data. In addition to EMR access, a meaningful collaborative practice agreement and close communication between physicians and pharmacists are all essential to providing high-quality care. 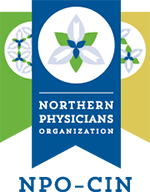 NPO currently has its two clinical pharmacists embedded in five of its member practices. These pharmacists have current collaborative practice agreements that allow them to adjust medications to optimize health outcomes in collaboration with practice physicians. On clinic days, the PCMH pharmacists have a provider schedule and see patients in clinic, call patients by telephone, or conduct Telehealth virtual encounters. Encounters focus on disease state management through both medication and lifestyle interventions. The pharmacists are trained in care management and motivational interviewing. These encounters focus primarily on the patient’s diabetes, hypertension, and hyperlipidemia, all of which have evidence supporting the involvement and efficacy of pharmacists in this role. In these encounters, the pharmacist will focus on progress toward health goals, disease state related medication regimen adjustment, adherence related issues, and gaps in care based on HEDIS quality measures. Patients are booked on the pharmacist schedule through physician/provider referral or identified through registry review. Ongoing efforts in collaborative disease state management have included expansion to caring for patients with additional disease states beyond diabetes, hypertension, and hyperlipidemia. Focus has been on those chronic conditions that are managed or impacted by medication including respiratory conditions such as asthma and COPD, cardiac conditions, and smoking cessation. The pharmacists also perform medication reviews for patients. These reviews are usually conducted as an initial visit, and patients may then follow up as needed with the pharmacist for disease specific needs identified as part of the medication review. A full report of the medication review is documented in the EMR and communicated with the primary care physician. Several payors currently support pharmacists billing care management codes for these patient interactions but ensuring long-term sustainability of the model is an ongoing effort. Because of the process-based nature of much of their training, pharmacists can be of help in LEAN process development and population-based quality efforts as well. To date the NPO pharmacists have only been involved in these activities to a limited degree, but they are prepared to participate in these efforts going forward. Review of disease state registry for identification of gaps in care and high-risk patients may also be ways in which clinical pharmacists have contributed at MPTCQ sites, although the NPO pharmacists have played a limited role in these activities to date. Finally, embedded pharmacists provide a convenient and readily available resource for drug information questions from both providers and patients. Patients often have questions about supplements and medications that the embedded NPO pharmacist can respond to effectively and comprehensively. Pharmacist are well prepared to offer evidence-based medication recommendations, and to discuss the evidence that is available for efficacy and safety to medications, dietary supplements, and herbal products. Dr. Rockafellow graduated from the University of Michigan College of Pharmacy in 2005. His general practice residency was at the VA Ann Arbor Healthcare System and focused on geriatrics. His second-year specialty residency was in Ambulatory Pharmacy with a focus in Primary Care took place at the New Mexico VA Health Care System in Albuquerque, New Mexico. He became a Board Certified Ambulatory Care Pharmacist in 2012. 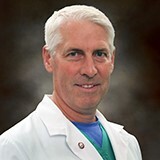 Prior to coming to Northern Physicians Organization, Dr. Rockafellow worked at the University of Michigan where he had a clinical practice in primary care in the Patient Centered Medical Home at the Canton Health Center. He also taught at the UM College of Pharmacy where he worked with future pharmacists to build their clinical skills and develop competencies in Diabetes, Hypertension, Hyperlipidemia, Parkinson’s Disease, Alzheimer’s Disease, and Men’s Health issues. His most recent research focuses on the evolving role of pharmacists in the Patient Centered Medical Home.